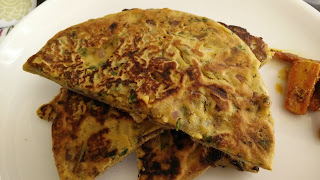 We all struggle, how to use leftover rotis in kitchen. Here is the solution for you. 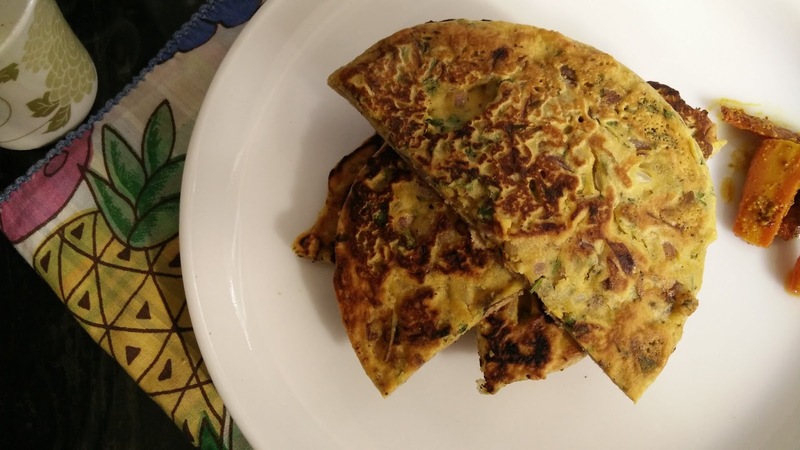 Use leftover rotis to make nutritious and healthy treat in just few minutes. Prepare these yummy pancakes with leftover rotis and enjoy this Innovative breakfast recipe which is can be served to all age groups elderly, kids. 1. Prepare a batter of gram flour and water. The batter should be little thick and not too thin. Add all the ingredients. 2. Spread this batter evenly on 1 side of roti. 3. Heat a non-stick pan and grease with little oil. Place the roti and cook on medium flame till crisp. Cook the other side of roti as well. 4. Once crisp from both sides, remove from pan. Cut into 2 pcs and serve immediately with pickle and curd.